Multitasking – the additional screen space could allow for multiple apps to be used simultaneously. This would be perfect for “second screen” apps such as live voting on the X-Factor or Tweeting about the latest celeb gossip whilst reading your news feed. Samsung have confirmed the Galaxy X will support three apps running in parallel. Larger Keyboards – will provide more space for the app UI and allow users to enter data and create content more easily. Improved productivity – as Apple continues to promote how productive their iPads are, the extra screen space will enable users to be more productive and use their devices more efficiently. Desktop/Laptop Quality Apps – with the increased opportunity of the device, users will drive the demand for more feature packed apps. Could this mean the end of fully functioning computers at home? Hardware Announcements – it will be important to monitor the market over the next 12 months to understand the variety of devices coming to fruition and the varying opportunities they provide. Platform Announcements – for novel interfaces to be well supported, it is unlikely app owners will invest until the support is provided directly by the operating system. Google showed their support for these future ideas by supporting Samsung at their recent announcement. Device Specific – each foldable device is likely to be different (based upon the patents) and their uptake will determine which features are worth supporting from an app perspective. App owners will need to evaluate the options and balance the ROI on a device-by-device basis. Responsive Design – smartphones/tablets come in a wide variety of sizes, resolutions and aspect ratios, and best practices have been to design app interfaces to resize to scale to each devices screen. Ensuring this will give an app the best opportunity for the unknowns on the horizon. Current Hardware – the FlexPai is already available but in limited markets, but the Galaxy X is expected to be demonstrated either at CES over the New Year period or at Mobile World Conference (MWC) in February, when we would also expect other manufacturers to announce their own devices. Operating System Releases – both Apple and Google generally only release major updates to iOS and Android in Q3, so we wouldn’t expect large scale adoption to happen until then. However…. Proprietary Support – device manufacturers could develop bespoke Software Development Kits (SDKs) to allow app owners to harness device-specific hardware features well before they are adopted by the operating systems. Samsung specifically announced the device at their technical event, solely to drive adoption by app developers. 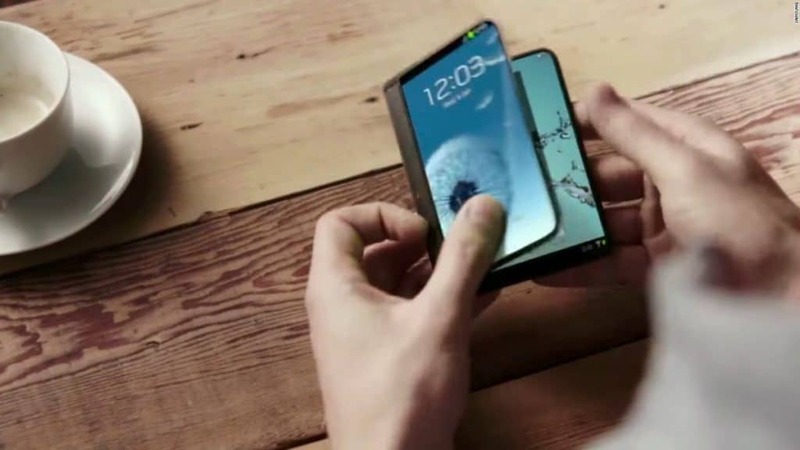 Scalable – most platforms already support flexible screen sizes and, therefore, device support may be possible from the outset, so preparation will be essential. App owners should reach out to their developers or specialist app agencies who will be best prepared to offer advice and guidance on how they can prepare their apps and websites and plan for how they can be tailored to take full advantage of this technological evolution.